Since opening our doors in 1921, Mid-West Metal Products has grown and flourished. We now occupy a 130,000 square foot production facility that provides precision wire fabrication services. Despite our longevity and size, Mid-West Metal Products has retained our small-shop ability to collaborate closely with customers as we work toward mutually beneficial solutions. 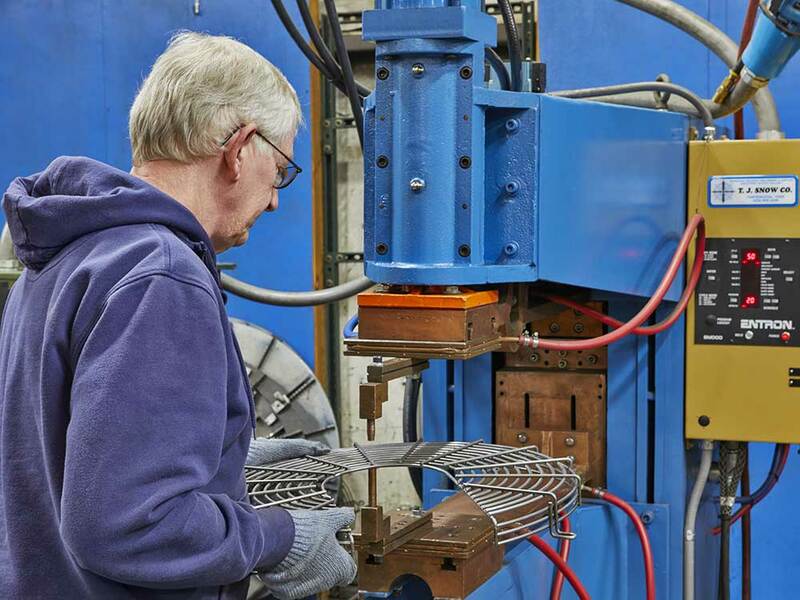 Our wire fabrication capabilities include Automated Wire Mesh Welding, CNC 6-axis wire bending and CNC wire coil forming as well as coining, swedging and welding on spherical and conical end types in cobalt steel, cold-rolled steel, piano and spring wire as well as stainless steel. 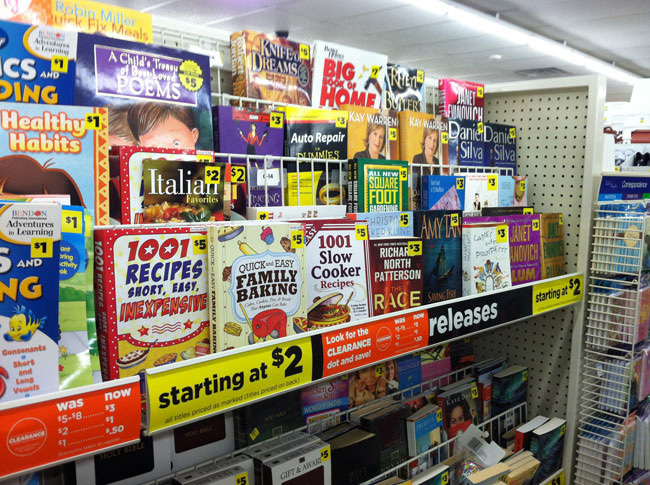 Mid-West wire products can be found in store fixtures and point-of-purchase displays, fan guards and wire guards for HVAC, poultry and livestock equipment, grain handling and conveyors, refrigerator and other shelving, baking racks, and stands for laundry and trash bags. 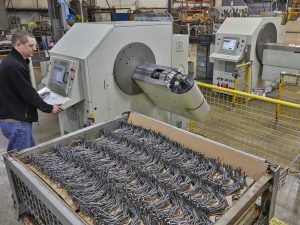 You can find additional details on our wire fabrication capabilities below and may contact us directly to find out what Mid-West Metals can do for you.